Hooked on Those Feelings: Thoughts on "The Paying Guests"
The last two nights I've gone to bed much later than planned. I've been spellbound by a book that's having its way with my feelings. I can't put it down. 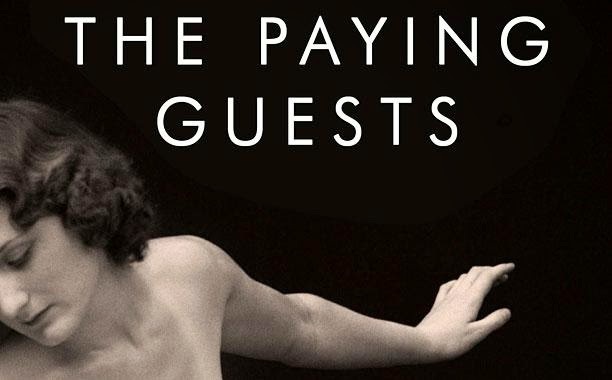 The novel, "The Paying Guests," is by British author Sarah Waters and is set in London, in 1922. Formerly upper-crust widow Mrs. Wray and her single, 26-year-old daughter, Frances — who has a past we learn more about as the story unfolds — lose their family in World War I and are forced to take in lodgers to supplement their dwindling income. The tenants, Leonard and Lilian Barber, bring their loud, lively, emerging middle class ways into the house, and they provide a catalyst for awakening within Frances. I don't know all of what happens yet — although plenty has happened so far — but I marvel at Waters' ability to tap into the yearnings of the human heart and get me, the reader, to feel what they're feeling. And this despite the fact that I have hardly anything in common with her characters. Shoot, her characters hardly have anything in common with each other, and yet unlikely friendships are born. Love blossoms. ... And later, there's a crime and a subsequent cover-up. Bet you didn't see THAT coming! But the rich, emotional detail is what I aim for, as a writer — whether in my poetry or short fiction, or someday, perhaps, in a novel — to be able to take readers on an emotional journey. To help them to feel the feelings that make us human. Loneliness. Pain. Anger. Romantic love. Sadness. Joy. Fear. Reading about these emotions in fiction helps us tap into and identify them in our own lives, and to recognize and understand the feelings of others. Reading schools us in empathy. It teaches us how to be better humans. Can you recall the last book that tugged at your heartstrings? How did it make you feel?